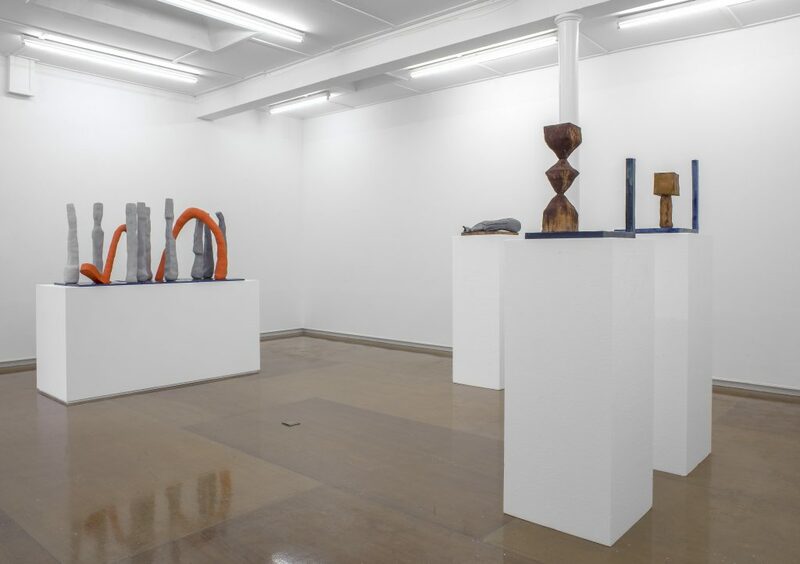 Mary Mary is pleased to present a solo exhibition by Jesse Wine, his second at the gallery. Now located in New York, Wine displays an ambitious body of sculptural work based on deconstructed classical form. 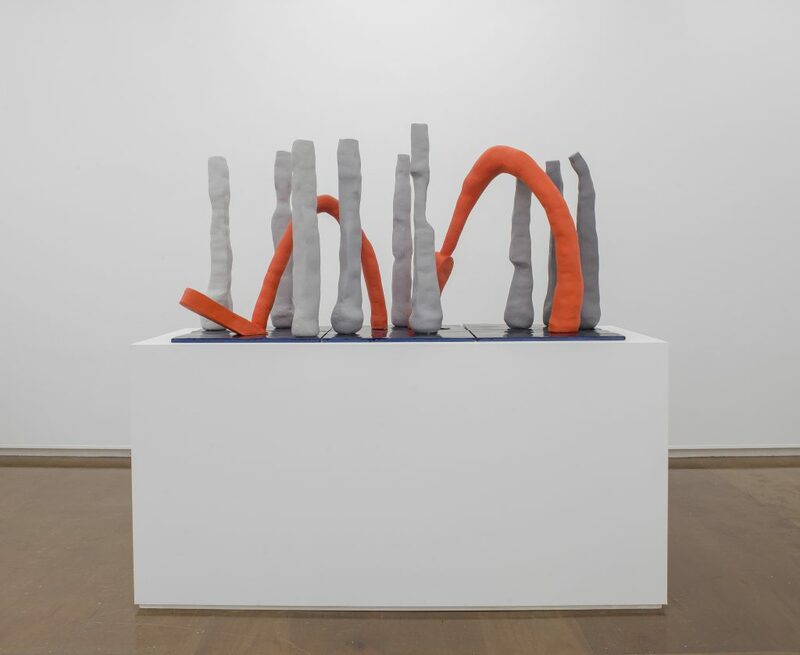 In this exhibition Wine presents a series of sculptures charting a material cycle, from formation to degradation; raw material, sculptures of drying clay, suggestive of new or reformed ideas and the notion of building. Colour material, exercising new or reformed ideas, and, rusted material suggesting time past, neglect and failed or abandoned ideas. Each sculpture is contained within a comic strip type tableau, capturing a moment, idea or mood. For Wine, this format is indicative of how information is received in the 21st century, categorised and tailor-made for the receiver, simultaneously presenting a skewed version of fact and fiction. 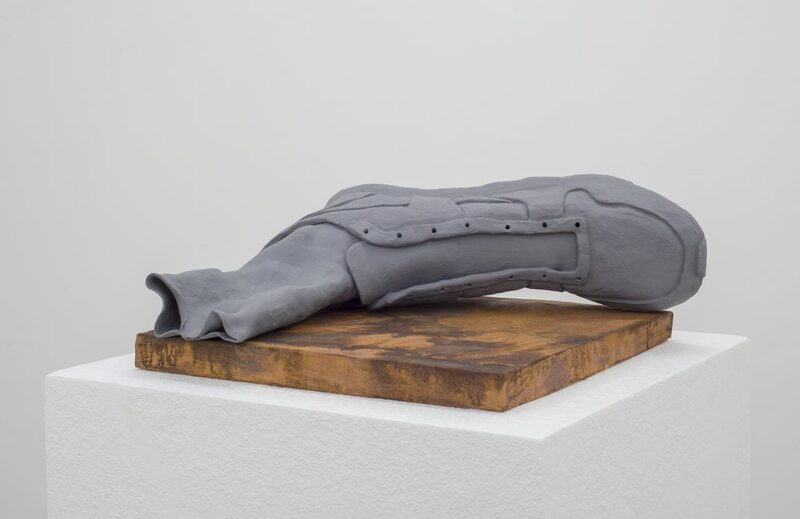 The works operate as abstracted allegories, using objects such as eggs, hands without opposable thumbs and half-finished sculptures. 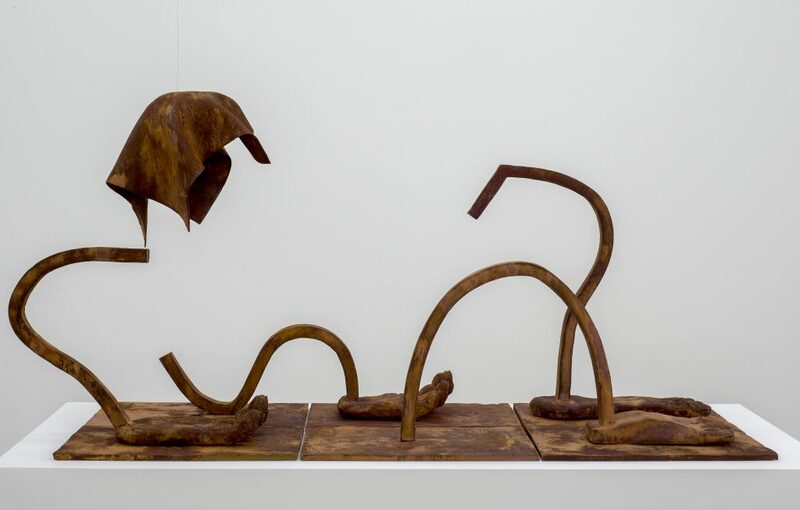 Tones of despondence and optimism run throughout the exhibition, rusted reclining forms sink, while colourful cartoon-like legs bound along nearby, presenting an incongruous progression. Having previously concentrated on the idea of the studio and artist portrait, with this body of work he references become more far reaching. 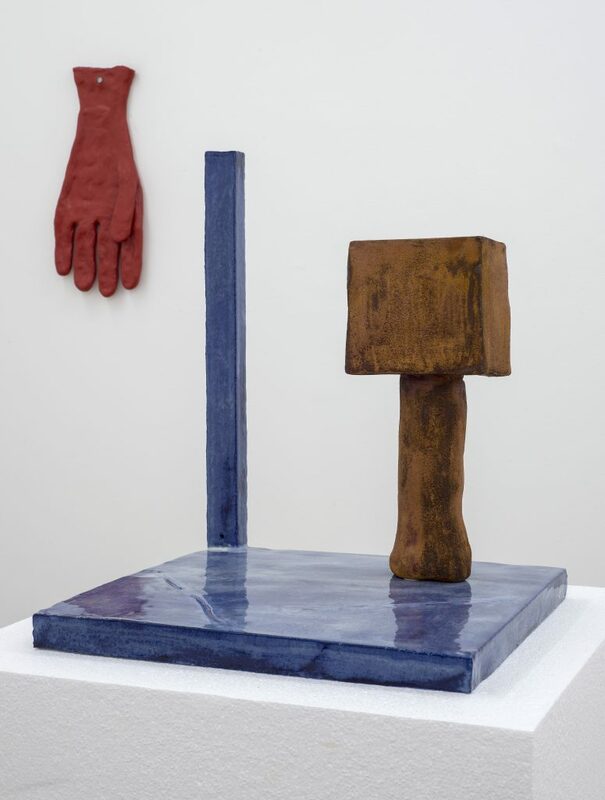 Wine seeks to highlight ideas of stagnation and neglect, a tombstone-like head and a folded piece of material, for him referring to institutionalised thought, concrete and immovable ideas. 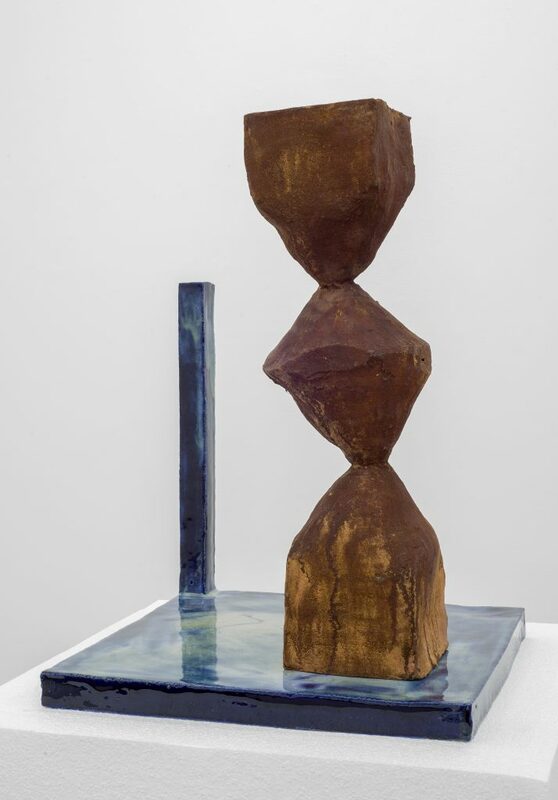 Alongside this there are works which depict an idea of conflicted transition, we see limbs with opposing movements, out of sync or in a moment of motion. 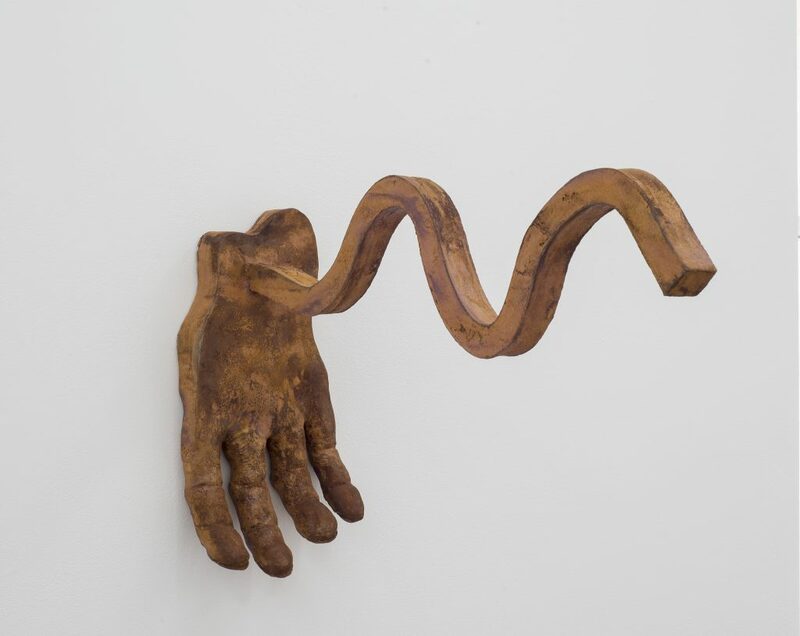 A number of works include sculpted hands, these are depicted without opposable thumbs and therein losing the physical attribute that sets us apart from all other species, the possibility to build and grip. As a result they become useless, aimlessly clutching, indicative of this uncertain time and unclear future. Wine includes distinctive modernist forms, highlighting the sophistication of art and language, the notion of communicating through objects. And yet, he presents this with a rusted surface, suggesting that the ideas we have learned and developed may be fading. 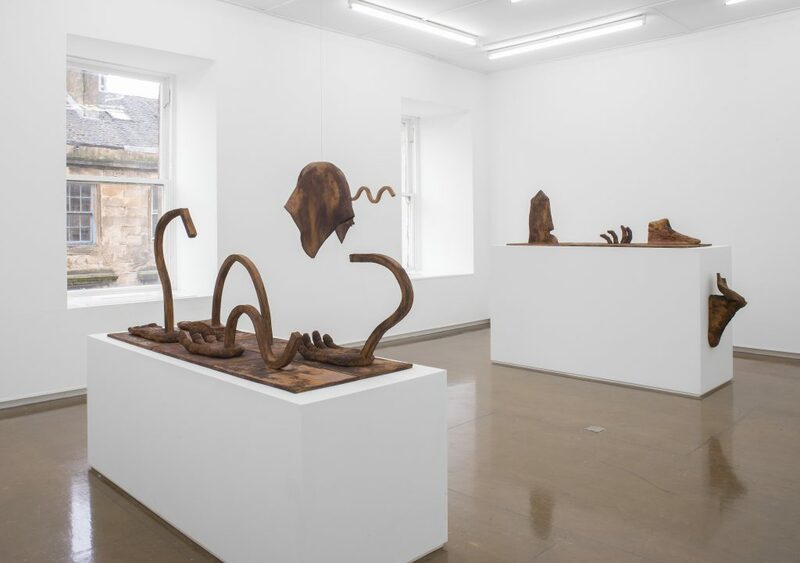 Installation view, Mary Mary, Glasgow, 2016. Glazed ceramic, 80 x 159 x 58 cms / 31 1/2 x 62 5/8 x 22 7/8 ins. Courtesy the Artist; Mary Mary, Glasgow. Glazed ceramic, 41 x 20 x 74.5 cms / 16 1/8 x 7 7/8 x 29 3/8 ins. Glazed ceramic, 17.5 x 44.5 x 40 cms / 6 7/8 x 17 1/2 x 15 3/4 ins. Glazed ceramic, 52 x 37 x 37 cms / 20 1/2 x 14 5/8 x 14 5/8 ins. Glazed ceramic, 78 x 158 x 57.5 cms / 30 3/4 x 62 1/4 x 22 5/8 ins.